Nursing and medicine have been the two primary arms of health care throughout recorded history. Licensed practical nurses (LPNs) are an integral part of the healthcare system. In California and Texas, the term licensed vocational nurse (LVN) is used, but LPNs and LVNs are the same thing. With a more restricted scope of practice than an RN, the LPN bridges the gap between unlicensed personnel such as certified nursing assistants (CNAs) and the RN level of care. LPNs are found in almost all work settings, although they are more likely to be concentrated in extended care, home care, clinics, and doctor’s offices rather than hospitals. An LPN degree can be an end in itself or the springboard to an RN license. At one time, nursing was reserved for women - many of whom were nuns - and nursing care occurred primarily in the home. As was the case with registered nursing programs, wars drove the demand for LPN training programs. In the US, the Civil War, WWI, the Spanish influenza epidemic and WWII all created a demand for practical nurses, who could be trained and deployed more quickly than the RN. At this time, the focus was on training hospital nurses, as the care of the sick was still centered on the hospital or the home. A three-month training period for LPNs was the norm until the 1950s when state boards of nursing began to regulate nursing education and scope of practice. Today most LPN programs are one year long, although a few schools offer a two-year associate degree. In all cases, training for the LPN is meant to prepare a bedside caregiver under the direction of the RN or doctor. LPN programs are offered across the US. Although online classes have become more common, all LPN programs have a hands-on clinical component, with a minimum number of clinical hours designated by the state board of nursing in each state. Programs have a standardized curriculum that includes such topics as anatomy, physiology, biology and nursing techniques. People who are interested in pursuing an LPN degree have a number of options. LPN programs are more likely to be found in community colleges or technical schools, although some universities offer an LPN diploma or degree. The high school student often goes directly into such a program. In some areas, LPN training can even begin as part of a vocational training program in high school. 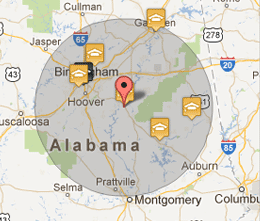 Almost all LPN programs require a high school diploma or GED. Adult learners should expect to first complete either a diploma or GED in order to gain entrance. Some programs offer a CNA to LPN fast-track program which takes the CNA’s training and experience into account and can shorten the time to graduation. Allied health professionals such as paramedics, emergency medical technicians, and medical assistants may also be given credit, depending on the program. Some LPN programs offer college credit to veterans with healthcare experience in the military. Each program sets its own admission requirements. However, certain requirements are the norm and are required to meet program accreditation standards. The vast majority of LPN programs require that a student be at least 18 years of age. A high school diploma or GED are also required, and many programs have a minimum GPA requirement – typically 2.5 or above. Unlike an RN program, few LPN programs have prerequisites – if they exist, they are likely to be the basic math, English and biology classes one completes in high school. Program candidates will usually be required to sit for a Test of Essential Academic Skills (TEAS) to assure basic competence. A criminal background check is the norm, as are drug screening and a health physical. Some LPN programs require that a student be trained as a CNA and have a certain amount of experience in that role. If you want to get first-hand information from a program director regarding an LPN program's admission requirements, college credit transfer issues, cost, etc, watch this Diman Regional Voc-Tech High School LPN program info session video, published in 2014. The video is a bit long but you will learn a lot. In order to meet accreditation requirements, LPN schools have very similar curriculum designs. Programs are generally 1,500 hours or longer. Most programs last 12 to 18 months. A typical first term curriculum includes human anatomy and physiology, fundamentals of nursing (didactic) and fundamentals of nursing (practicum). Term two includes pharmacology, adult nursing (didactic) and adult nursing (practicum). In term three, the student completes mental health nursing and maternal and pediatric nursing. Term four completes adult nursing, with a heavy emphasis on hands-on practice in clinical settings such as hospitals and long-term care. Other topics that are covered under these more general headings or in separate courses include chemistry, psychology, nutrition, and medical technology. The didactic part of the program is usually six to eight hours per day, while clinical rotations are usually eight hours per shift. LPN programs usually begin with didactic learning. In addition, students spend time in clinical labs. The labs are set up to mimic a hospital room, with mannequins as patients. In many programs, the students themselves also play the role of patients. This helps them learn techniques such as making a bed for a bed-bound patient or transferring a patient from bed to chair. It also allows the student to become familiar with what a patient experiences. In the lab, students learn such tasks taking a pulse and blood pressure, giving an injection, inserting an intravenous catheter and managing intravenous fluids. The labs contain the same sort of equipment used in a hospital, including suction machines, oxygen, and intravenous pumps. Once the student has mastered basic hands-on techniques in the lab, the next step is actual patient care under the supervision of an instructor or experienced nurses in the work setting. In most programs, students have clinical rotations that include acute care in hospitals - including specialized areas such as the operating room, intensive care, oncology, and the neonatal nursery. Many programs also include rotations in long-term care, public health, and clinics. Tuition varies greatly depending on factors such as the type of school, the state in which it is located and whether the student is a resident or attending from out of state. A technical-vocational school, for example, often has higher tuition than a community college in the same area. Public schools are invariably less expensive than private schools in the same state. For example, Johnson County Community College in Kansas costs around $5,600 for Kansas residents and over $9,000 for out of state students. This is a full-time, two-semester program. Northern Virginia Community College offers a one-year, three-semester program with all-day sessions on Friday, Saturday and Sunday. Tuition, books, and supplies are estimated at $18,000. The advantage of this sort of schedule is that it allows the student to work and go to school. ECPI University, with campuses in North Carolina, South Carolina, and Virginia, has an estimated cost of $35,000 for tuition, books and supplies. Although more expensive, private schools often have short or no waiting lists and may offer accelerated programs or more flexible schedules. When it comes to calculating costs, pay attention to whether the projected cost is for tuition only or includes books, uniforms, and supplies such as a stethoscope. Some schools include fees for background checks, licensing fees and CPR certification fees in the cost of tuition, while in others, those expenses are separate. Students who obtain schooling away from home should also include housing when calculating costs. Most programs have financial assistance and many offer educational grants and/or scholarships. Once you complete an LPN program, you must sit for a national licensing exam known as the National Council Licensure Examination – Practical Nurse, or NCLEX-PN. Exams are computerized and you must travel to the examination center, which may be a stand-alone or located in a business or college setting. The test takes several hours and is a pass/fail examination. Registration for the NCLEX-PN is usually part of the activities in the last semester before graduation. There are a variety of NCLEX-PN preparation books and online preparation tools available. The usual license term is two years. Most states offer both online and paper renewal options; in all cases, there is a renewal fee. Depending on the state, you must complete continuing education courses or practice information in order to renew. Fees vary from state to state, but the usual cost is between $50 and $100. Some states allow you to maintain your license in an inactive state – you are still licensed but cannot practice nursing unless you complete continuing education credits and pay a renewal fee. In many cases, the fee for an active or inactive license is the same. Sometimes also called accelerated programs, bridge programs are designed to allow an LPN to become an RN or to obtain a bachelor’s degree in nursing without going back to complete the full traditional program. An LPN to ADN program is usually one to two years. You receive credit for courses you completed to obtain your LPN diploma. Some programs also offer credit for work experience. These programs are typically found in community colleges and vocational schools, although some universities also offer them. The LPN to BSN program is most likely to be offered by four-year colleges or universities. The length of the program varies from two to four years. The decision between an LPN to ADN or LPN to BSN program may be determined by such factors as availability, cost or career goals. A BSN increases employment options. Most hospitals, for example, prefer or require a BSN at hire or within a certain time frame after hire. Management, specialty, and educational positions also are more likely to have BSN requirements. It is very common for aspiring LPNs with minimal financial resources to begin their nursing careers as a CNA, advance to an LPN and then to an RN. The scope of practice for an LPN depends on the state(s) in which the LPN is licensed. Even if an LPN has been trained to perform a particular task, if it is not included in the state scope of practice, the LPN cannot perform the task. LPNs are not considered independent practitioners in any state and must work under the direction of an RN or physician. Permitted and restricted activities vary dramatically from one state to another. For example, in Arizona, LPNs can administer intravenous medications. In California, an LPN can administer intravenous fluids but not intravenous medications. The California LPN must also complete a post-graduate course in intravenous certification. LPNs in Illinois cannot administer blood or blood products. In South Carolina, administration of blood products is within the scope of practice of an LPN. Most states prohibit LPNS from performing dialysis. In many states, an expanded scope of practice requires additional post-graduate training. Most limitations on the scope of practice are related to the “higher level” functions that require assessment, care planning and critical thinking – such as triage – or extremely complex and high-risk procedures such as the management of central lines. According to the Bureau of Labor Statistics, the majority of LPNs worked in nursing and residential care facilities in 2016 – the last year for which data is available. Thirty-eight percent of LPNs were employed in such job settings. The next largest group – 16 percent –worked in state, local and private hospitals. Physicians’ offices were the next largest work setting at 13 percent, followed by home health care at 12 percent. The smallest group worked in government positions, which also included LPNs in the military. This group comprised 7 percent of the LPN workforce. Other possible work settings for the LPN include outpatient clinics, public health, and schools, but the number of LPNs in these settings is relatively small. In long-term care, it is common for the LPN to have supervisory responsibilities for CNAs, especially on evening and night shifts.